Since 1988, when then-President Ronald Reagan appointed August 21 as National Senior Citizens Day, people in our country have had an opportunity to recognize the contributions our over-65 crowd have made. Although it’s good to recognize seniors every day, National Senior Citizens Day allows individuals and businesses a time to focus fully on the importance of our seniors. Start to design custom designed rubber bracelets now! On National Senior Citizens Day, many people will make a point of visiting a retirement community to bring lunch or coffee to its members. Businesses offer additional discounts to seniors on National Senior Citizens Day as well. 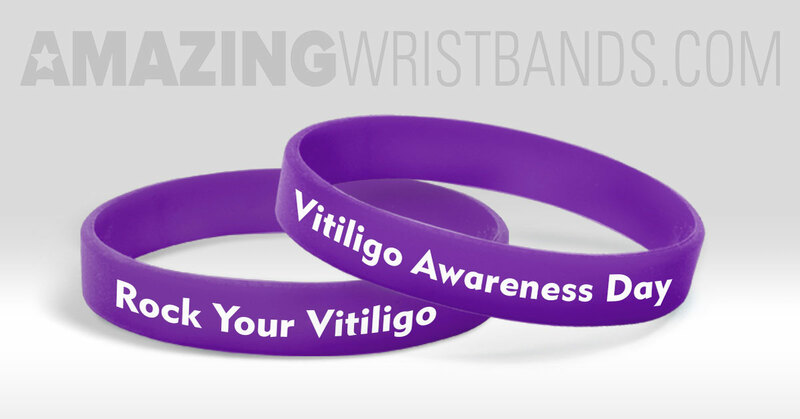 And what better way is there to let seniors know they’re recognized than with personalized silicone wristbands? 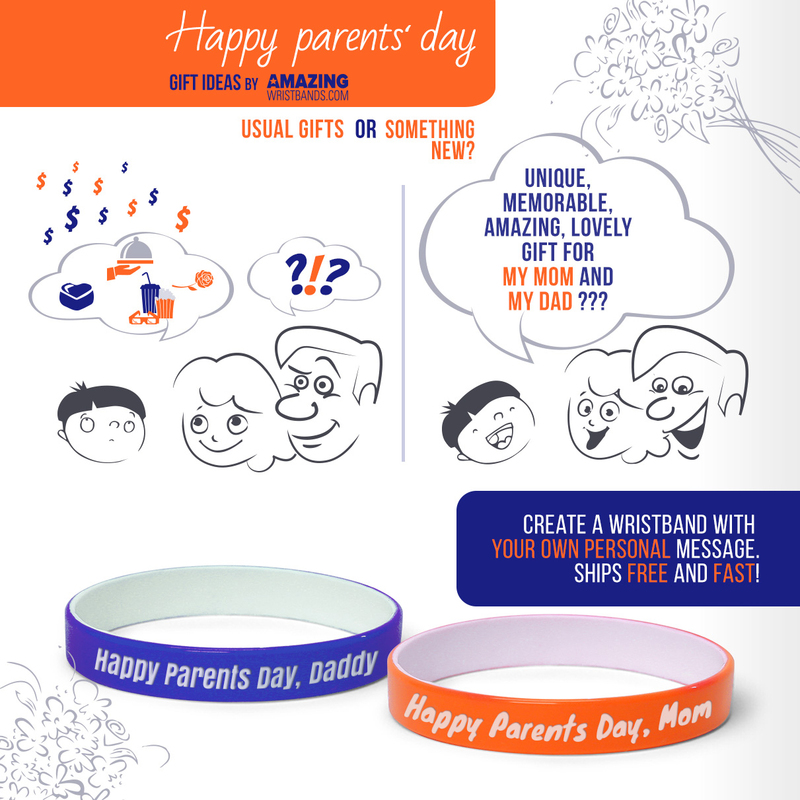 Wristbands are great for all ages - they’re wearable fun. And because they can be customized, these wristbands can speak directly to the senior crowd. They can come in any color, including in swirled patterns—they can even have glow-in-the-dark or glitter effects added for those seniors who like to stand out. Plus, they can have customized messages imprinted, such as "You’re the best" or "You’ve made our country great" or simply as "Senior Citizens Day". Citing the U.S. Census, the American Association of Retired Persons (AARP) notes that, as of 2010, there were 40.3 million people aged 65 and older; patterns suggest that, by 2020, there will be 55 million. Although many people over 65 are retired, the National Council on Aging tells us that in 2015, the number of employed workers over 65 was greater than the number of teen-aged workers for the first time since 1948. The over-65 crowd is growing and is active and continues to add great value to our country and our communities. We use 100% silicone for your National Senior Citizens Day wristbands. We do not require a minimum quantity for your order. We offer free shipping, free artwork, free design, and free color matching. 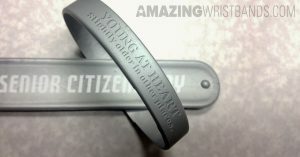 In addition to standard wristbands, AmazingWristbands.com also offers super popular slap bands that “snap” to a person’s wrist, as well as thin, half-inch bands, thicker one-inch bands, adjustable bands, USB bands, silicone rings, and silicone key chains. All our silicone products are made of 100% silicone so they are comfortable, durable, and non-allergenic. Build your own National Senior Citizens Day wristbands online! It’s not as well-known as Mother’s Day or Father’s Day, but National Parents’ Day is a holiday that’s recognized nationwide. In 2016, National Parents’ Day falls on July 24, and it’s a time to promote responsible parenting in our country. It’s also a time to encourage families to invest in their children, to raise good, model citizens. Start to design your favorite wristbands now! In our day-to-day life, we all have seen people with white patches on their skin. But many of us are not aware of the reason behind this skin discoloration. Melanin is the pigment that gives the skin its normal color. When melanocytes, the pigment producing cells, die or stop functioning, a chronic skin disease called Vitiligo occurs. It changes the skin color and can affect any part of the body, including mouth, hair and eyes. It is more noticeable in people with dark complexion. Although this disease is not contagious or life-threatening, there is no permanent cure for it. To some extent treatment may improve the appearance of the skin. Hence it is important to build global awareness about early identification and prevention.